I wish had a lot more time tonight to chat, but that is just not the case. I am taking a short break to get this post to you cause I mean, people gotta eat, right?! And they need new recipes to do so! 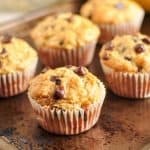 So I will be brief today, but it will be worth it because these Coconut Banana Chip Muffins pretty much speak for themselves. It has taken me a long time on here to turn the corner into the baking world. I am the queen of the no bake bites and really anything that requires no baking. But now that I finally have had a few successes, I feel a bit better dabbling even more in the baking department. Honestly, I think one of the biggest issues around baking is there are so many subtleties that can making baking go awry, even if the recipe is actually really solid. So I guess I have been holding off because I don’t want you to have any disasters because of me. The thing I have learned most recently is to make sure your baking sodas and baking powders are up to date and fresh. 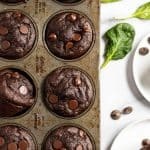 This recipe brought many caved in muffins until I grabbed some new baking soda at the grocery and it was like magic. Keep things fresh when it comes to baking. Banana bread was actually never something I was a major fan of growing up. We always opted for zucchini bread in our house thanks to my grandma’s recipe. But too many brown bananas that are still so perfect go unused when they are the best thing ever in the realm of baking. 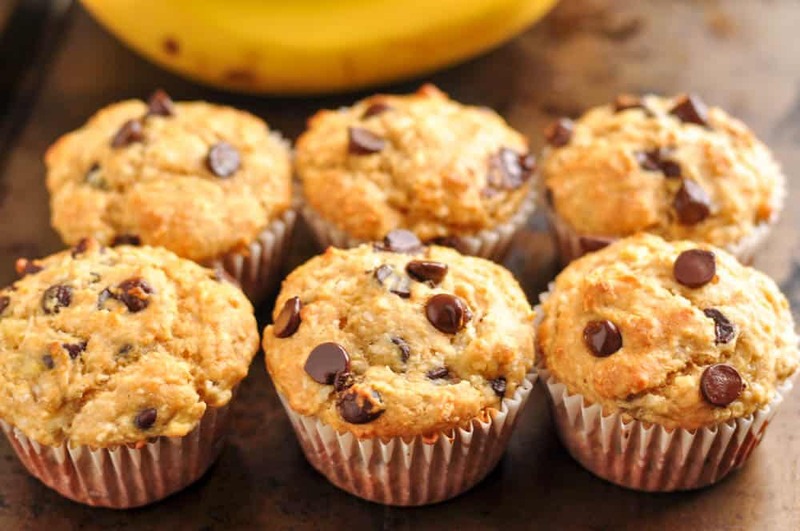 So I went ahead and gave you another reason to use those ripe bananas, and I promise it’s a good one! The combination of coconut and banana is so refreshing and then if you toss in some dark chocolate, I mean, you are just golden. If you are looking to go dairy free for this recipe, a dairy free yogurt should sub well. 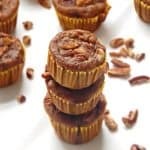 I did not try this recipe yet with flax eggs, so if you give it a shot, let me know if it is worth it just in case you beat me to it! Well friends, it looks like I am fresh out of time. I still have a few projects waiting for me tonight, but at least this one gets a check off on the to do list! So get to baking and enjoy! In a medium bowl, mash bananas well. Add egg, maple, yogurt,vanilla and coconut oil and stir to combine. In a separate bowl, mix flour, salt and baking soda. Slowly transfer the dry ingredients into the bowl with wet ingredients and stir to combine. Pour batter evenly into muffin try lined with muffin cups. Add extra chocolate chips if desired on top. Bake for about 25-30 minutes or until a toothpick comes up clean out of the center of the muffins. So true Kelsie! And no better way to use up the bananas! So good to hear!!! I licked the spoon of the batter one time without thinking and decided I need to make this egg free just to be able to eat the batter straight from the bowl! Thanks for sharing!